Being labelled and framed as a remote periphery of Iraq, the Kurdistan Region of Iraq is transforming since 2003 into a center attracting investments worth billions of dollars. Investigating this transformation, I scrutinize one of the visible outcomes of the investments, namely shopping malls, as examples and symbols of "modernity" and "progress." The recently built shopping malls are thereby analyzed as the built materialization and symbols of neoliberal transformation and socio-economic change. Engaging with representatives of shopping malls as well as with the experiences of young female shopping-mall-goers, it will be illustrated how modernity and progress is framed within the Kurdish nationalist narrative and how this is taken up by young Kurdish female mall-goers. Thus, it will be contended that a historical narrative of past sufferings comes to legitimize the new liberal "freedoms" that are available through the full connection to and participation of Iraqi Kurdistan in the capitalist economic world system. earned an MSc in Middle East Politics at SOAS, University of London and an MA in Politics and Economics of the Middle East at Philipps University Marburg, Germany. 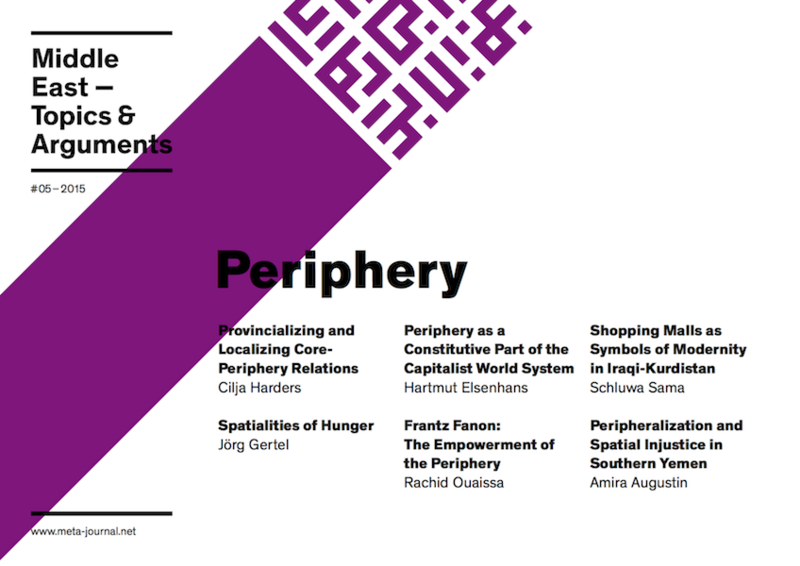 In her second master thesis, entitled “Subjectivity and Space: Shopping Malls in Iraqi Kurdistan,” she scrutinized the impact of neoliberal transformation in Iraqi Kurdistan on people’s everyday life. Her research interests include the politics of the everyday, processes of neoliberalization, (de)colonization and gender relations. Sama, S. “A Periphery Becomes a Center? Shopping Malls As Symbols of Modernity in Iraqi Kurdistan”. Middle East - Topics & Arguments, Vol. 5, Nov. 2015, pp. 89-98, doi:10.17192/meta.2015.5.3642.